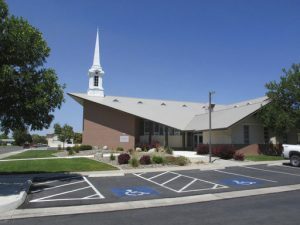 RENO, Nev. (AP) — The man accused of fatally shooting a fellow member of his congregation during services in a rural Mormon church in Nevada is scheduled to make his first court appearance Wednesday on a murder charge. 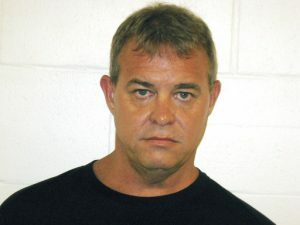 John K. O’Connor is set to make his initial appearance at 8:45 a.m. Wednesday in New River Township Justice Court in Fallon, a spokeswoman for the Churchill County District Attorney’s office told The Associated Press late Tuesday. The 48-year-old is accused of killing 61-year-old Charles E. “Bert” Miller, a longtime volunteer firefighter, and shooting his brother, Duane Miller of Spanish Fork, Utah, in the ankle during Sunday’s services in Fallon 60 miles (97 kilometers) east of Reno. O’Connor surrendered later Sunday following a standoff with police at his home about a block away. He was being held on $1 million bond at the Churchill County Jail on Tuesday on charges of open murder and battery causing substantial harm. Police say the two knew each other from church but investigators have been unable to establish any motive for the slaying. Miller was a 35-year veteran of the Fallon/Churchill County Volunteer Fire Department. Fallon police and city officials declined repeated requests for comment on Tuesday. “In order to protect the fluid and ongoing investigation in this matter, (Fallon police) will not be releasing any further information or answering any questions relating to the investigation, except in the form of official press releases, if necessary,” city spokeswoman Kaitlin Ritchie said in an email to AP late Tuesday. “Even within the church, we don’t know the extent of the relationship,” she said. Duane Miller, 64, was released from a Fallon hospital Monday. He’s a business management and communications professor at Utah Valley University and an adjunct faculty member in Brigham Young University’s business management program. Fallon Police Chief Kevin Gehman said Monday it appeared O’Connor focused on one individual. “This was not an attack on a church or a congregation,” he said. It’s not clear if O’Connor has a lawyer or will be appointed one Wednesday. Local residents held a vigil Monday and again Tuesday afternoon at a park in Fallon to honor and remember Miller. Funeral services are scheduled Friday at the Church of Jesus Christ of Latter-Day Saints in Fallon.